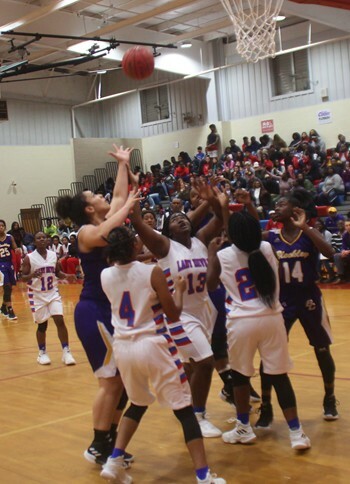 Basketball teams cruise past Hawkinsville. 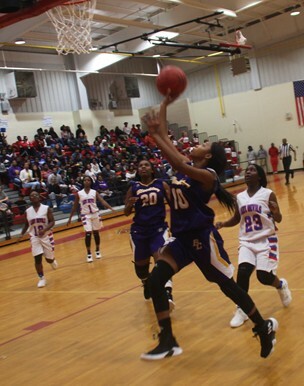 Kayla (Jalexia) Taylor goes in for two points. BCHS had their last games before Thanksgiving holidays, making the short trip across the river to Hawkinsville. Both teams looked to continue their recent success in the rivalry having swept the season series last year. Alyssa Fortune battles for a rebound. Leading 23-18 at halftime, a 12-5 third quarter pushed the Lady Royals lead to 12. Thanks to a layup by Daelyn Harris, that was the final margin of victory as BC got their first win of 2018, 45-33. Alyssa Fortune led with 13 points. Markayla Jenkins added 10 points. Mykel Anderson would make this shot despite being bodied on the attempt. Nykeem Farrow had eight first quarter points as the Royals raced out to a 22-4 lead. His two free throws with three seconds left in the half pushed the advantage to 20. 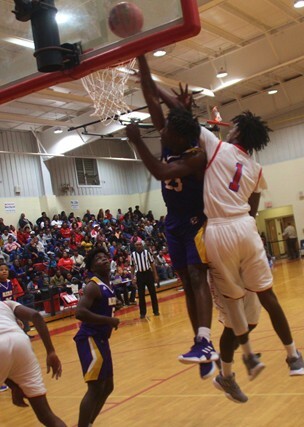 Farrow finished with 24 points as BCHS cruised past the Red Devils 62-36. Mykel Anderson had 16 points. 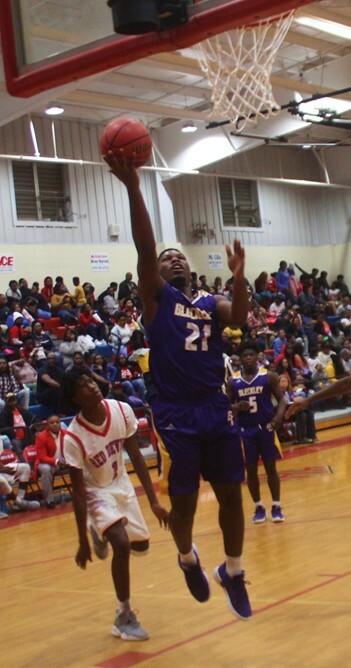 Bleckley returns to action November 27 at home against Montgomery County. JV boys play at 4:30 pm with varsity to follow.